The American Ballet Theatre Studio Company performed at The Pocantico Center in June 2018. Ensemble Connect and composer Andy Akiho developed “Cobalt Canvas” during a 2018 residency at The Pocantico Center. The new Abeyton Lodge (formerly the Playhouse) became part of The Pocantico Center in 2018. To hasten our reporting time and increase transparency into our operations, we have elected for 2018 to release sections of the Rockefeller Brothers Fund Annual Review on our website as they are ready. We will publish the complete annual review, including audited financials, in summer 2019. The Pocantico Center is a conference facility and creative arts space on the historic Rockefeller estate in Pocantico Hills, New York, 20 miles north of Manhattan. Nelson, Laurance, and David Rockefeller each bequeathed their shares of the family estate to the National Trust for Historic Preservation. Under a special arrangement with the Trust, the Rockefeller Brothers Fund has operated these properties as The Pocantico Center since 1994. They include Kykuit—the historic home of John D. Rockefeller—as well as the Coach Barn, the Marcel Breuer House, the Orangerie, the Japanese Teahouse and Shrine, and the surrounding landscapes. Abeyton Lodge (previously known as “the Playhouse”) and several guest houses became part of the Pocantico Center in July 2018 upon the generous bequest of David Rockefeller, who passed away in March 2017 at the age of 101. Abeyton Lodge will open for programming in late 2019. The Pocantico Center hosts conferences and meetings, artists residencies and performances, and public and community programs that support the Fund’s philanthropic activities. 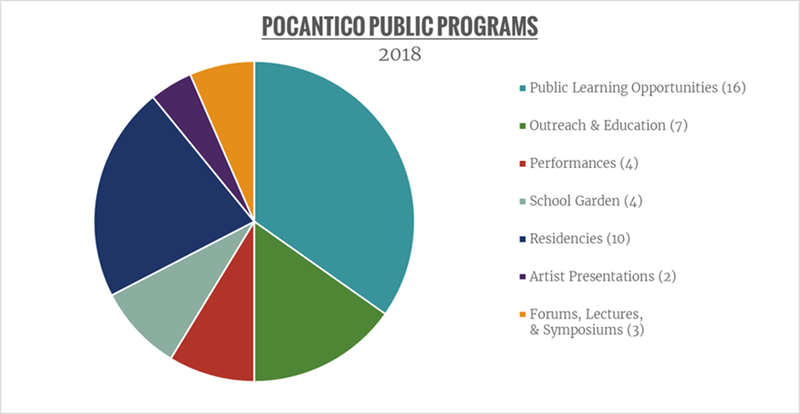 Overall programming at Pocantico was slightly down in 2018 compared to previous years. 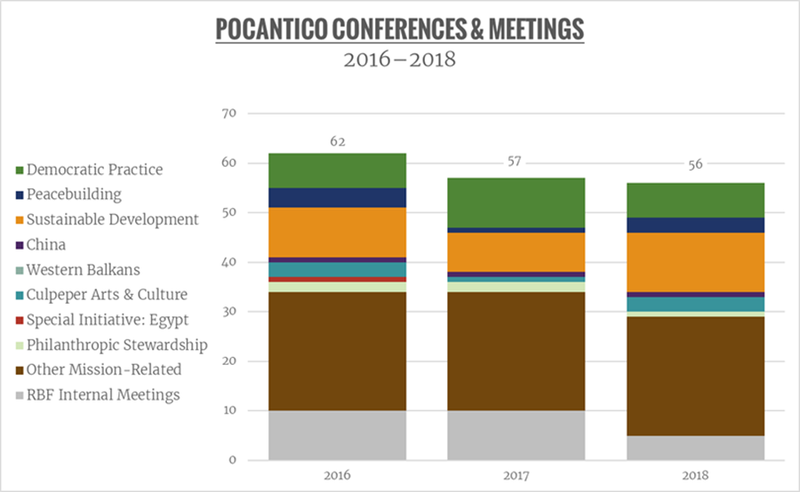 The Center welcomed 27 conferences directly related to the Rockefeller Brothers Fund’s grantmaking programs in 2018. It hosted an additional 29 conferences and meetings in support of its larger philanthropic mission, including five internal meetings of the Rockefeller Brothers Fund. In 2018, The Pocantico Center offered 46 public programs for the surrounding community. This includes four summer performances on the Kykuit lawn, featuring emerging and established artists from Jessica Lange Dance, American Ballet Theatre’s Studio Company, Carnegie Hall’s Ensemble Connect, and the Lage Lund Quartet. The summer performance series is offered in collaboration with the Fund's Culpeper Arts & Culture program, which supports the creative process, offers artists residencies, and helps build the capacity of New York City cultural organizations to nurture a vibrant and inclusive arts community. Through the Culpeper program, New York City artists from select grantee organizations can also participate in artist residencies at The Pocantico Center, offered year-round. 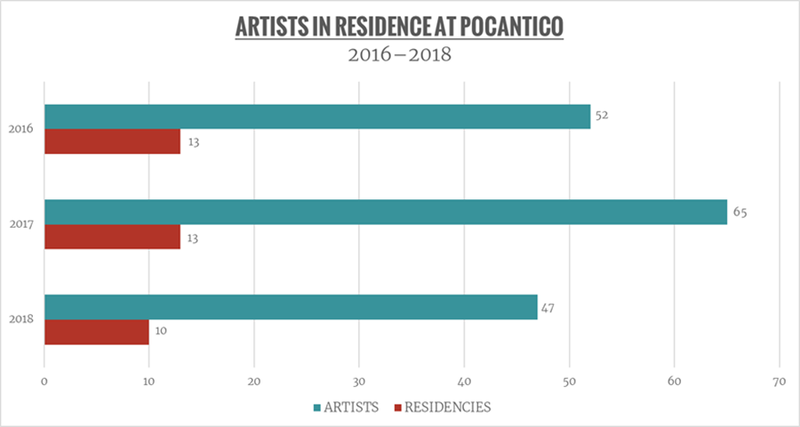 In 2018, 47 artists from across the creative disciplines participated in a total of 10 artists residencies at Pocantico. The Pocantico Center also offers public access through forums, lectures, and educational programs focused on the Pocantico Historic Area’s buildings, gardens, and collections of decorative and fine art. Public tours of Kykuit are offered through Historic Hudson Valley from May through mid-November each year, drawing 32,954 visitors in 2018.